Launched in January of 1863, the S.S. Sultana was considered one of the most modern vessels of its era, with a legal capacity of 376 passengers, including crew. Upon the release of Union POWs in the spring of 1865, steamships were paid to ferry passengers from southern ports on the Mississippi to the north. Eager to collect the $5 per soldier and $10 per officer fare authorized by the government, the Sultana’s Captain, J. Cass Mason, dangerously overloaded his boat in late April 1865. In addition to the 2,100 prisoners, Mason crammed 200 civilians and cargo into every square foot of the vessel. Not willing to risk losing this lucrative government contract, Mason ignored an engineer’s recommendation that a boiler needed a major repair, opting instead for a quick patch. For two days the Sultana made slow but steady progress straining upstream against the rain swollen Mississippi. At 2 AM on the morning of April 27 the patched boiler exploded with a mighty roar. An estimated 400 passengers were killed instantly by the explosion or scalding steam. The wooden vessel burst into flames and soon became a raging inferno. Panicked soldiers and civilians tore off any piece of wood from the steamboat that could be used as a flotation device and jumped overboard. Eventually the screams stopped as the Sultana burned to the water line and sank. In the aftermath, it was discovered that at least 1800 soldiers and civilians had died, making it the worst maritime disaster in American history. (The Titanic sinking in 1912 by comparison resulted in approximately 1500 deaths.) Amidst the competing headlines of the South’s elongated surrender, the assassination of Lincoln and the manhunt for John Wilkes Booth, the Sultana catastrophe received surprisingly little news coverage. A halfhearted investigation would place most of the blame on Capt. Mason, who conveniently was not alive to point the finger at others. A war weary public, eager to put the war and all of its tragedies behind them, soon forgot about the Sultana and its victims. 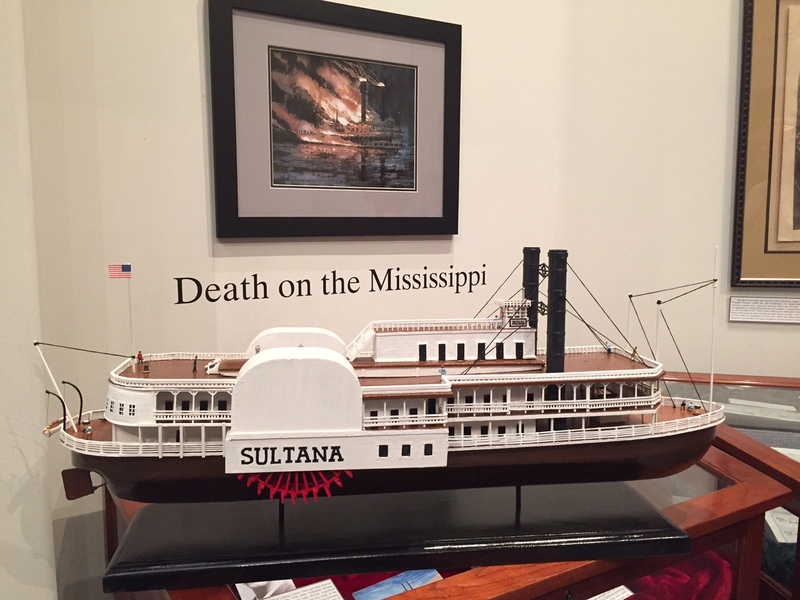 Model of Sultana by artist and Lincoln Shrine docent Ken Jolly. 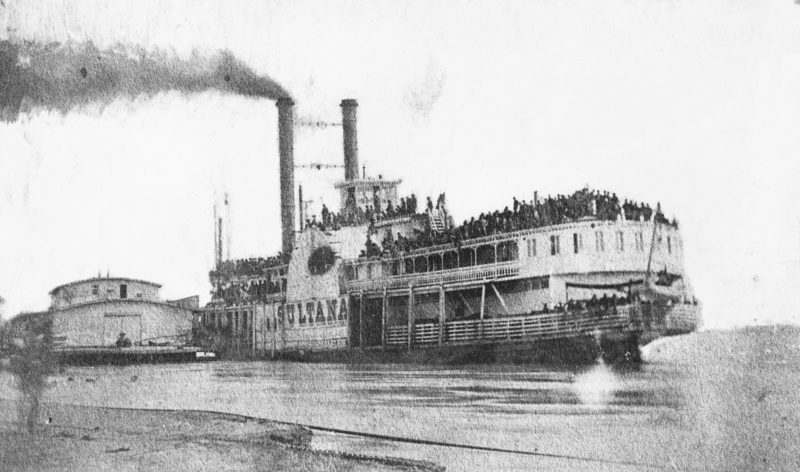 The only known photograph of the Sultana taken on the last day of its fateful voyage in Helena, Arkansas on April 27, 1865.